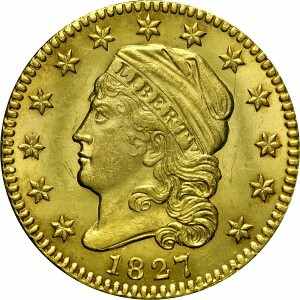 Although from a much higher mintage of 2,800 coins, this issue is nearly as rare as 1826. Almost certainly no more than 60 examples survive in all grades. 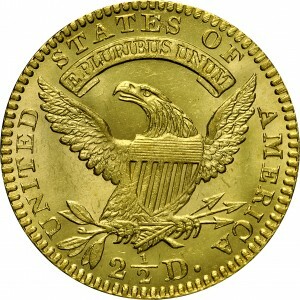 This variety is from the same reverse die as used in 1825 and 1826, and is the final quarter eagle issue produced with the “open collar.” Regarding the rarity, it must be assumed that most examples were hoarded and then melted. This lovely Mint State coin is one of the finest known survivors of this issue. 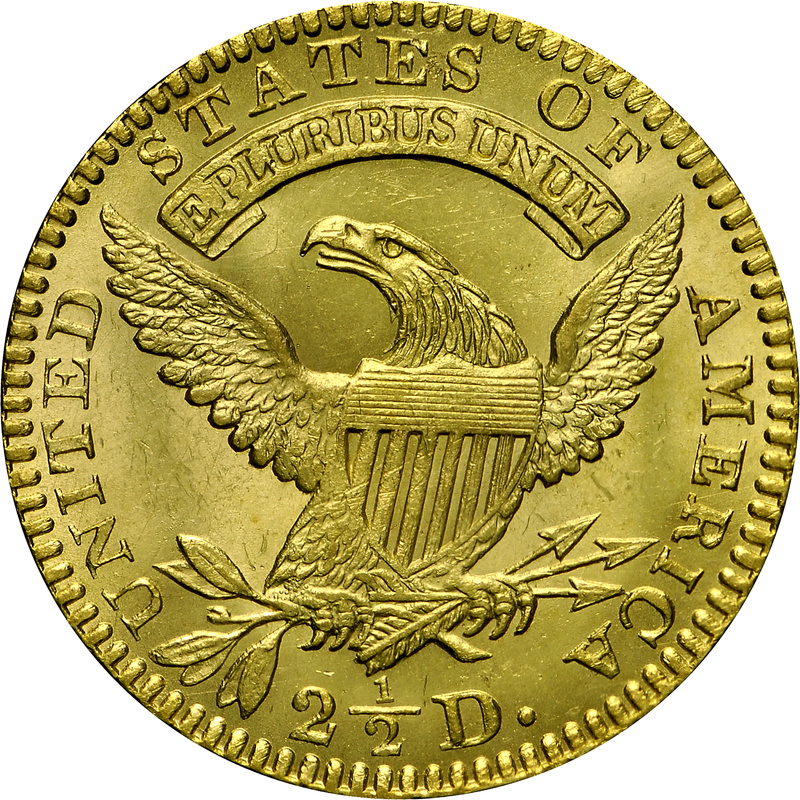 Only two or three other Mint State examples are known and are of lower quality. Purchased from Superior Galleries, March 28, 1978. 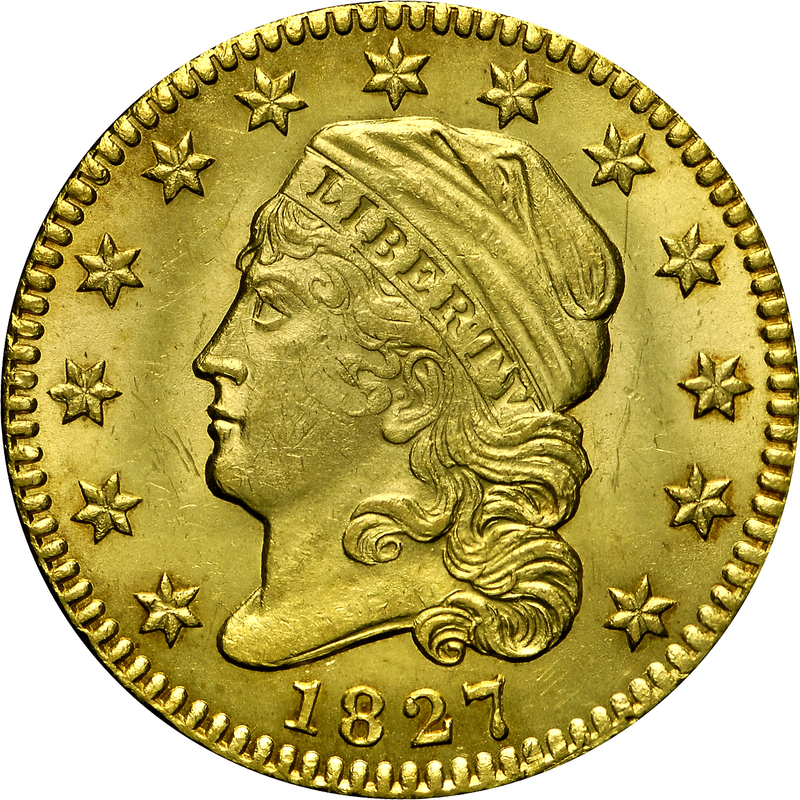 "Reverse: That of 1825A, lapped after being clashed in 1826."